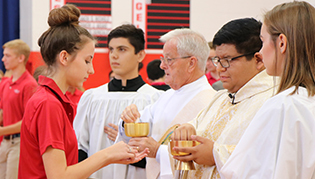 In pursuit of this goal, Incarnate Word Academy holds God as the highest value and affirms the sacredness and dignity of each human person. 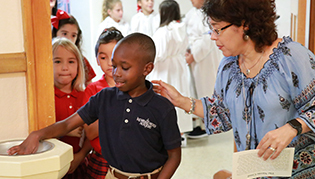 Acknowledging parents as the first and foremost educators, we work in partnership with them to foster in their children the fullness of life to which they have been called. 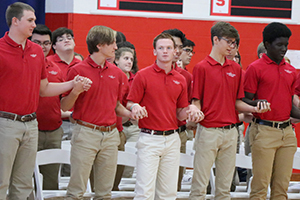 We recognize the spiritual, intellectual, emotional, social, physical, and creative gifts of each member of our community and provide a holistic education to challenge, assist, and guide students in their personal development. 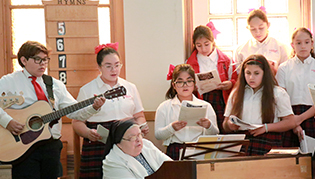 While finishing school is never an indication that a person is finished growing, IWA does seek to facilitate the development of an individual who is able to express commitment to God and his or her faith community through witness and service; who enjoys the skills to make responsible and informed decisions; who is ready to participate in and contribute to the good of the civic community; who — above all — witnesses to and lives as a member of the Reign of God.